Have you recently lost a single tooth because of a serious injury? Have you struggled for years on end with noticeable gaps in your smile? At Dental Dynamics, Dr. Davidson and the rest of our proven specialists strongly believe that it’s never too late to turn back the clock. We offer several options for rebuilding attractive, functional dental structure, even in cases where an entire arch requires restoration. 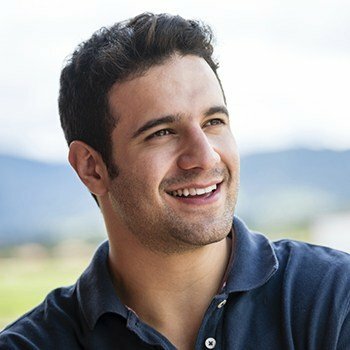 To explore their unique benefits in further detail and determine which one is the best match for you, contact us today in Skokie, IL to schedule a consultation. Why Choose Dental Dynamics to Replace Missing Teeth? “What’s the worst that can happen if I don’t replace my missing tooth?” Many patients ask. Unfortunately, there are quite a few negative answers to that question. Bone loss is one of the biggest consequences, which is caused by the empty space left by a missing tooth root. This gradual deterioration can spread, impacting nearby healthy dental structure and increasing the patient’s risk of experiencing additional tooth loss; it can also change the way you look, leading to sunken lips and a hunched face. Reduced diet and speech difficulties may also occur. This is why we strongly urge patients in need to at least explore their available options for replacement with our team’s experienced support. If a patient has lost one or more teeth that used to appear next to each other, a custom-made dental bridge is a viable option. This style of restoration literally “bridges” the gap in question, relying on the support of two adjacent natural teeth as “anchors” that will keep the lifelike prosthetic securely in place. 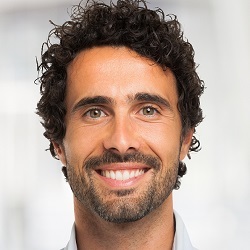 As a result, the patient is able to enjoy renewed biting strength and prevent remaining teeth from shifting out of place, which is a common concern following tooth loss. In addition to traditional bridges, our doctors are happy to offer implant-retained bridges as a healthier, longer-lasting alternative. Instead of having to significantly reduce natural dental structure, the implants are inserted directly into the jawbone for long-lasting support. 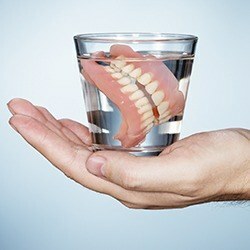 Dentures have been around in some shape or form for thousands of years, and today’s modern prosthetics are more lifelike, more comfortable, and more functional than ever before. 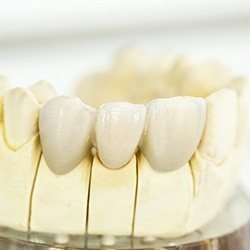 The team at Dental Dynamics will take the time to design a highly personalized device that fits right into place over the gum line, whether it’s partial in nature (meaning that it replaces certain teeth while leaving healthy teeth safely in place) or full (meaning that it replaces an entire arch). In addition to traditional removable dentures, patients can add extra permanence and stability to their new smile with the state-of-the-art power of dental implants. Sometimes, the scope of a patient’s dental damage and tooth loss is too severe to be treatable with a singular service. Don’t worry, though – no case is too advanced for the Dental Dynamics team. After an initial evaluation and consultation, our dentists will be able to create a personalized full mouth reconstruction plan that involves all of the services needed to restore full health, function, and aesthetic value to your smile. This may involve dental implants, dental bridges, periodontal therapy, tooth-colored fillings, crowns, or even all of the above. 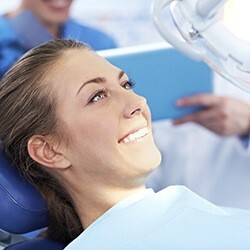 However, the end result is always the same: a mouthful of beautifully replenished teeth. In today’s world, dental implants are truly unmatched when it comes to outstanding tooth replacement. Their comprehensive structure provides seamless aesthetics and day-to-day strength, and the inclusion of a brand-new tooth root helps preserve jawbone health as well, preventing the dreaded deterioration that can leave so many older patients with “hunched” facial appearances. Our dentists may not be able to reverse time regarding what’s been lost, but we consider this state-of-the-art strategy the next best alternative.